‘Theharvester’ is a tool in Kali Linux used for information gathering. information of the target where other 10% is just to attack. So it is really important to get more information of the target like e-mail addresses, subdomains and host names. 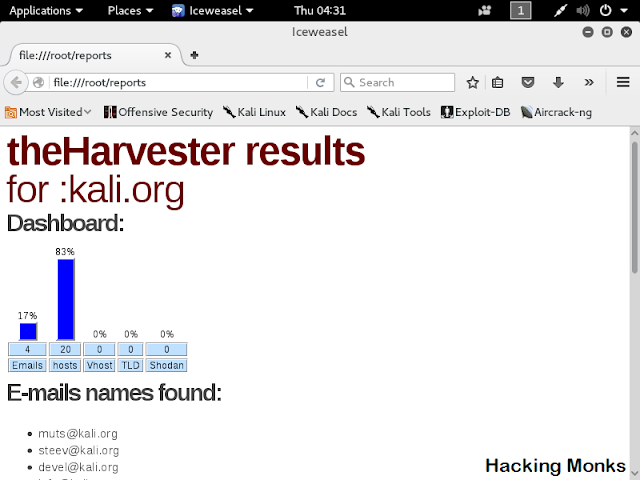 For the purpose of this, the offensive security has given theharvester in kali linux. The tool is designed in python by Christian Martorella. * Time delay between requests. 2) For all information we use all searches. We can save the reports in html. The reports will be saved in Home tab. 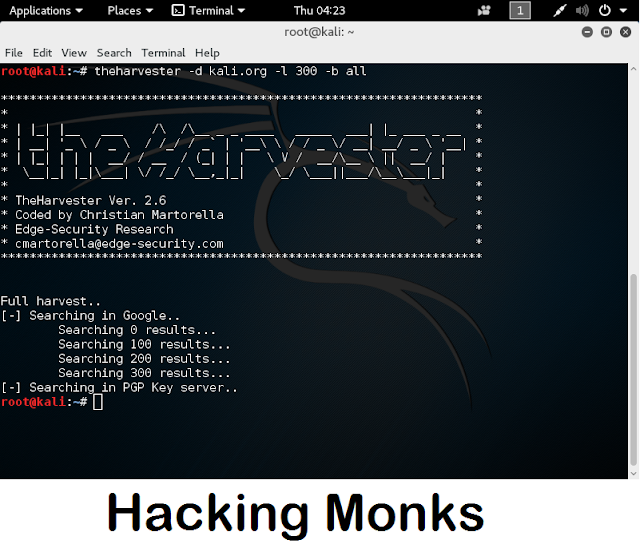 Theharvester is very easy tool to use. Thank you for reading this article.